Hot on the heels of the M50 come the 2000D and 4000D, Canon’s new entry-level DSLRs. With a spec sheet aimed squarely at social media users looking to step up from their smartphones, the dynamic duo is equipped with Wi-Fi, 24.1MP (2000D) and 18MP (4000D) CMOS sensors, and Canon’s DIGIC 4+ processor, which allows for Full HD video. With suitably entry-level price points and a number of kit options, it’s good to see that lower spec DSLRs haven’t been entirely overlooked in the wake of the mirrorless revolution. Canon today unveils the launch of the EOS 2000D and EOS 4000D, Canon’s latest entry-level DSLR cameras. With a wide range of practical and easy to use features, these new cameras cater to the storytelling needs of individuals taking their first steps into interchangeable lens photography and those wanting to create superbly detailed DSLR quality pictures and cinematic Full HD movies with ease. The newest additions to Canon’s entry-level DSLR range, the EOS 2000D and EOS 4000D have been designed for people who seek out new experiences and want to share their adventures seamlessly to social media. The cameras’ powerful combination of APS-C sensor technology, DIGIC 4+ image processor, seamless Wi-Fi connectivity and straightforward in-camera feature guides enable stories to be captured and shared with highly detailed photos and Full HD movies. With the EOS 2000D featuring a new 24.1MP APS-C sensor, and the EOS 4000D using an 18MP APS-C sensor, each camera allows for compelling storytelling with superb control over depth-of-field for beautifully blurred image backgrounds. Shooting rich, atmospheric photos during night-time adventures is also made possible with both models capable of low light shooting up to ISO 6400, expandable to ISO 12800. The DIGIC 4+ image processor, used in both models, powers Canon’s Scene Intelligent Auto mode, enabling simple point and shoot photography with superb image results, as it automatically optimises every shot. The fast and responsive DIGIC 4+ image processor enables the Full HD video capabilities in both models, breathing cinematic life into captured memories. In addition to a rear mounted LCD screen (7.5 cm on the EOS 2000D and 6.8 cm on the EOS 4000D), both cameras feature a centrally mounted optical viewfinder, providing a distinctly authentic photography experience and allowing stories to be told just as they were experienced with the naked eye. Decisive moments in unfolding stories can be captured with responsive and precise nine-point auto focus and continuous shooting at 3 frames per second. Both cameras are Wi-Fi enabled for seamless smartphone connectivity via the Canon Camera Connect app (iOS and Android), enabling adventurers to rapidly shoot and share their content on social media whilst on the move. New images can be conveniently backed up to Canon’s Cloud storage service, Irista, via a Wi-Fi connection, ensuring stories and memories shared are never lost. These processes are made even easier for the EOS 2000D with the inclusion of Near Field Communication (NFC), which can establish a Wi-Fi connection to a smartphone by simply tapping the device on the camera (available on compatible Android devices). Both models include simple in-camera feature guides, perfect for those looking to improve their storytelling potential as they upgrade from a smartphone. Both cameras include six image settings outside of basic auto modes and a variety of creative filters, enabling experimentation with manual control and the artistic freedom to tell dynamic and vibrant stories. Those embarking on their first DSLR adventure will also benefit from the Canon Photo Companion app, which provides the necessary tips on getting the best out of the cameras. The EOS 2000D and EOS 4000D’s excellent battery life delivers approximately 500 pictures, or one hour 30 minutes and one hour 15 minutes of HD video respectively, allowing for peace of mind during extended outdoor adventures and the freedom to explore. Both DSLR models are compatible with over 80 Canon EF and EF-S lenses and range of accessories, giving beginners the greatest choice of systems as they grow and develop their photography skills. The new cameras will be sold as a body-only option or with a selection of lens kit options, including an 18-55mm f/3.5-5.6 IS II lens. Canon’s latest entry-level DSLR cameras offer a fantastic gateway to the joys of interchangeable lens photography. 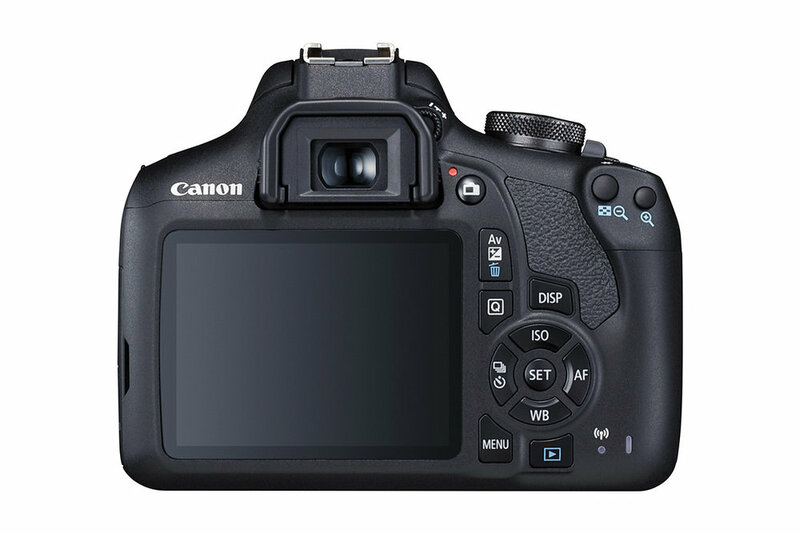 The Canon EOS 2000D and Canon EOS 4000D provide an easy and reliable shooting experience that enable users to capture detailed images and sharp Full HD video. As people step-up from their smartphone and expand their creativity, Canon’s new DSLR cameras will intuitively capture superbly detailed professional-looking images, time after time. 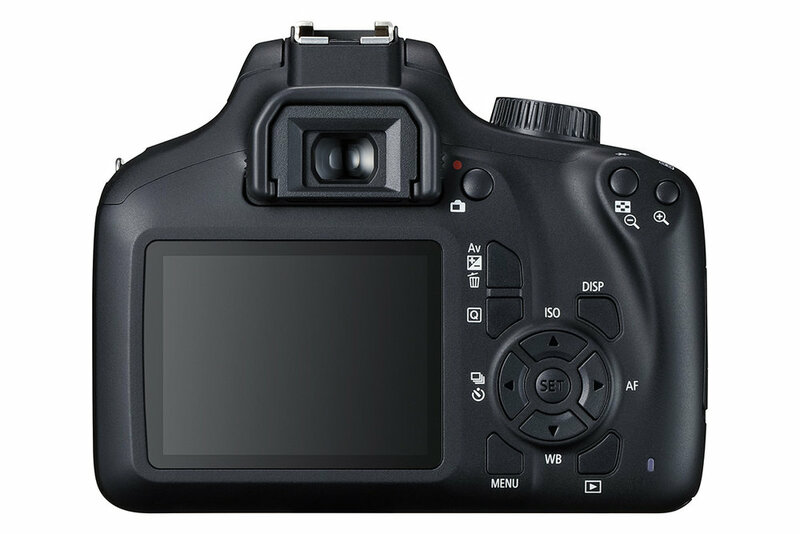 The EOS 2000D is available to pre-order from Canon’s Online store from 26th February 2018.